It’s official, the biggest women’s bowl contest of the year is right around the corner! The contest will feature 30 invited pros and about 20 AMs and has the biggest women’s transition prize purse of the year, $10,000. So come on out to Vans at The Block of Orange on Saturday, November 5th. The AM contest starts at 12:30 p.m. and the Pros go on at 1:30. Amelia: nice post. 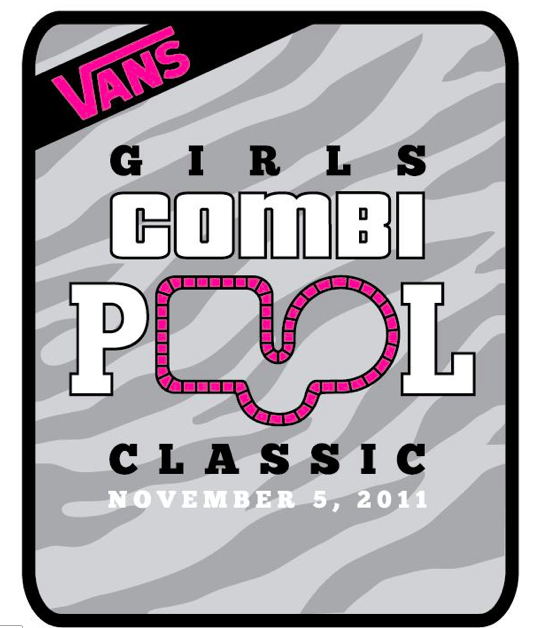 Question: what qualifies a ‘pro’ (for VANS Combi Classic) as a pro? Very confusing looking at the girls on your attached pro-invite list! Also do you have a pre-registration link? Is this event part of WCS rankings? That is an excellent question. The whole concept of what is defined as “pro” “am” “flow” etc. is really ambiguous across all of skateboarding. There are AMs who have Pro models and make royalties, there are people who one of their sponsors considers “pro” and other sponsors have on “flow.” Chris Russel has won “pro” contests but then WCS incorporated age divisions and now he has to compete at an “AM” level. This topic is also something that I’m exploring in Underexposed. What is a pro skateboarder and how does he/she make a living? These lines within this hierarchy are even less clear in women’s skateboarding. In the case of the Combi Classic, my best guess is that it is largely age-dependent. The invite list appears to be more about ranking than whether everyone is actually considered “pro” or not. The first 24 names competed in last year’s event & are in the order in which they placed. 25-30, I believe, were unable to compete in the 2010 event, but are currently in the top rankings of the WCS women’s division for 2011.